Our guests are always blown away with this full day catered private charter to remote cays. Here lie some hidden treasures (which can be calm and exciting all at the same time). Seemingly endless turquoise waters suddenly give way to some beautiful cays and beaches that provide them with an unmatched opportunity to feel like an explorer. Abundant opportunities for adventure including scuba, snorkel, standup paddleboard, kite surf, kayak, beach-comb, bird-watch and/or a combination of all. These are remote, peaceful, quiet, untouched cays like Little Ambergris Cay, the Fish Cays, Bush Cay and White Cay (most locals don’t even know about these!). Day trip to Parrot Cay (private island experience). 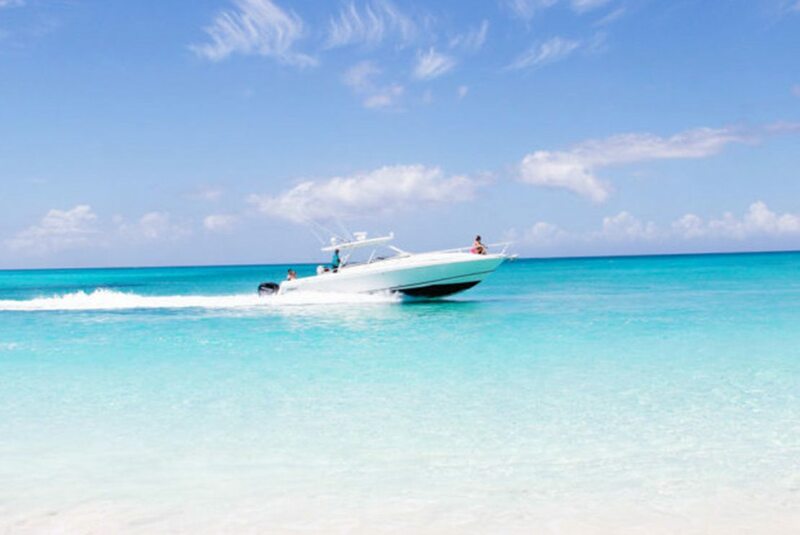 Guests need to take a 1/2 hour ferry ride from Providenciales to get here. But well worth the effort! They get to discover the calming spirit of the cay’s only spa resort (COMO Shambhala Retreat) where they offer our guests holistic, Asian-inspired treatments including Ayurveda, aromatherapy, Pilates and other holistic approaches to mental quietude, physical wellbeing and spiritual balance. 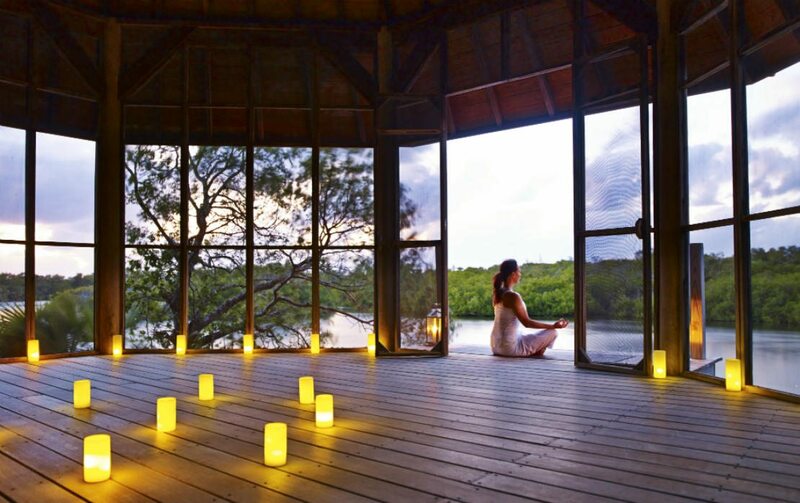 Facilities include a sweeping yoga room aired by natural breezes, nine treatment rooms, an outdoor Jacuzzi garden, a Pilates studio, double massage rooms and Japanese baths—all in low-lying pavilions overlooking the North Caicos Channel and the surrounding wetlands. Several A-listers enjoy solitude in their multi-million dollar private beachfront homes on the cay as well, so no surprise to see Donna Karan, Bruce Willis or Keith Richards sitting at the restaurant next to you. Our guests enjoy the incredible experience of cruising the world’s most turquoise waters on their own private, exclusive, modern yacht. The best part is that this is also an all-inclusive option, as, included in the price is a wide range of activities to enjoy including scuba diving for all levels, snorkeling, deep sea fishing, or simply take a cruise and enjoy a selection of fine foods and beverages served on board. The yacht includes highly trained crew with extensive experience and local knowledge. Options to sleep on the water overnight are available as well as there are luxury bedrooms with en-suite bathrooms, large salon and galley, all fully air-conditioned with flat screen TV’s, surround sound music, BBQ grill and so much more. Half day, 3/4 day, and full day and custom deep sea fishing charters aboard a 46ft Bertram is always a big hit for our Sportfisherman. Waters surrounding Providenciales, are the perfect place for chasing tuna, wahoo, mahi-mahi, the elusive blue marlin and more! Whether our guests are seasoned anglers or first time fisherman, the crew is here to ensure they have a fantastic experience bringing in the big one and making memories with friends and family. The boat’s cabin includes a large salon with sofa, galley and en-suite head. The cockpit is fitted with a custom all-weight fighting chair, wrap-around bolsters and a seating area. Shaded seating is available on the bridge. All of the equipment is top of the line, including Penn and Shimano conventional and spinning reels, and an assortment of lures and natural baits. For the Tom Hanks experience (but done in style), we send our luxury guests to get ‘cast away’. It’s a half-day private boat adventure where guests cruise, swim, snorkel, and eat a gourmet lunch. The best part? A professional photographer/videographer is on board with them, so we shoot candid moments and a session on the beach. 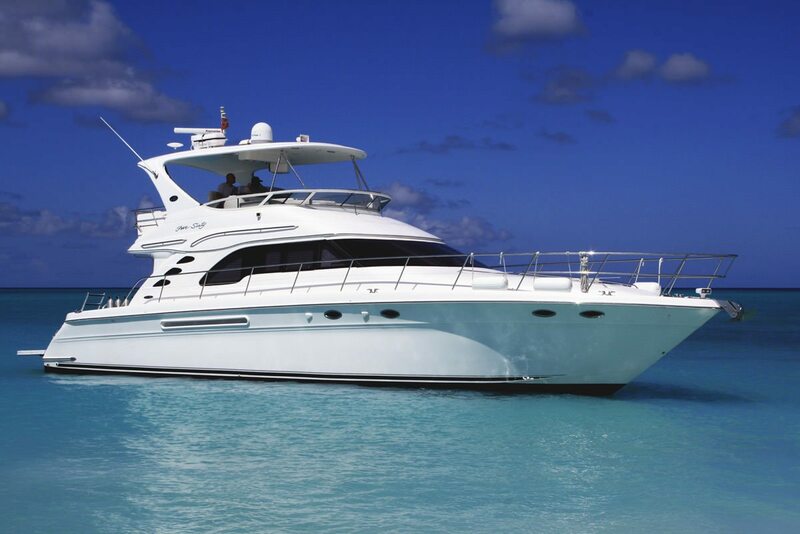 Everything is included in the price, the boat, boat captain, champagne, wine, beers sodas, lunch, underwater camera footage, 10×10 book album and all high resolutions digital images.